Is that the only error? What was the condition when it was report? Does the engine run? The camshaft sensor wasn't reporting the expected pulse, but it happened only once at very low RPM. And from the low system voltage, it might have been cranking. I assuming that it had been running from the reported temperature. 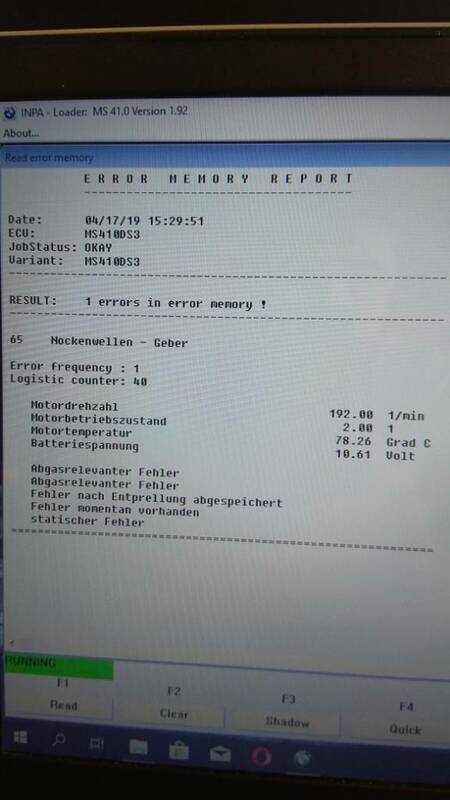 The sensor might be magnetically "contaminated" (rust, residual magnetism, magnetized camshaft) so that it's not reading accurately at low speeds, but it is likely working OK at normal running speeds. have you reset the code and see if it returns or not? your battery is showing 10.61 vdc...any idea why? 10.61 v is very low voltage, whether the engine is running or not. Check test your battery/alternator. Recharge it and/or replace it. Then test again. Last edited by Edvinac; 04-18-2019 at 01:41 PM.